Winners and losers: Who won this week’s Auspol meat-tray? Politics, as we know, is a game of inches, where the size of one’s…policy…matters; an arena where the laurels of victory are doled to those who can speak longest, those who can completely avoid answering questions in their allotted time – in our PM’s case, 12 months. Nevertheless, the vague, albeit magnificent nutcasery flipped down the corridors of power makes it hard to chart a winner. But, we here at TBS Towers don’t play that. Up with this, we shall not put. We voted, so, thusly, we want a result, not just a lesser of the two whomever showed up to work until 2019. So, this represents the first of a weekly segment, where we’ll traipse through the mucky-muck to elevate the arm of those who fought to the bottom of the oozing pit of political discourse in this fine land. One Nation. Yes, them. In a week spent straying from political ideals, election promises and getting diddly done (save for the superannuation deal, well done there), Pauline’s team, in doubly-applied sunscreen, brought to their voters exactly what they promised to bring during the election: One Nation. Most of Australia may disagree with the policies, but the scattered dalmatian (which is mainly white) of One Nation supporters can be proud to know that the party’s election noise translated into parliamentary noise. Malarndirri McCarthy – for her ballsy, empathetic maiden speech, which grouped our heartstrings and coarsely played The Devil went down to Georgia with them. The full transcript is available, but here’s a sample of her ironclad, pointed verve. Ed Husic – for following through with (and not letting his family talk him out of) his ridiculous impulse, presenting Malcolm Turnbull with a human scale model of a spine to commemorate his spills-aversary. Tee-hee and also haw-haw, but let’s organise the brass-tacks here. Where does one procure a faithful model of the human spine? He didn’t just trundle off to Belco Officeworks and pick one up, surely, so he must have coerced a medical professional for use of one, under the pretence of what one can only assume was, “Get this, it’ll be great…now hand over that ludicrously expensive education tool, so I can harvest the lols”. The Greens. Don’t hate me here, and Richard Di Natale is a very nice man (hello, Richard! ), but the Greens’ walkout was a bit of a dill move. Here’s why. The senate is already wafer thin, and that wafer must be treated with care, as the slightest crumble will see governmental gridlock, and thusly no business will be done until the next election. The Greens dunked that wafer into a glass of water, walking out mid-One Nation speech, perhaps talking their lead from others who made a similar point against similar Right-wingers before them. Has the political soup just turned from a tepid gazpacho to a tamale-doused magma Bouillabaisse that no-one will dare to sup? Will the spoon of democratic policy now be passed around the Senate, as noses are upturned at the mere smell of it? Rob Katter – for exhuming the corpse of the “Quexit“, pushing for the separation of North Queensland from the rest of the Commonwealth. All due respect to the Katters, and I loved the ad, but this is two large, raised pieces of fruitcake crazy. The move, however, does fit our much-loved national geographic stereotype where streets are named after what is on them (e.g., Station Street, Main Street, First Avenue etc), and the potential new North Queensland state will be easy to find, as it is North of Queensland. James McGrath – who added laxative to his filibuster sandwich by sharing his TV viewing habits with the collected Senate. Bless. Going off the halted nature of his voice, and the collective eye roll not seen, it was painfully obvious, that it was obviously painful. Malcolm Roberts, who used his inaugural speech to rail against the United Nations, pushing for our own Brexit (“Aus-xit”) and aligning himself with the great muser, Socrates. Fair start to the award, it must be said, but surely it could be toppled with Nick Xenophon claiming that he is in fact, the thirteen regeneration of Xenophon of Athens? Over to you, Nicholas. To close this week, let’s sort something out. 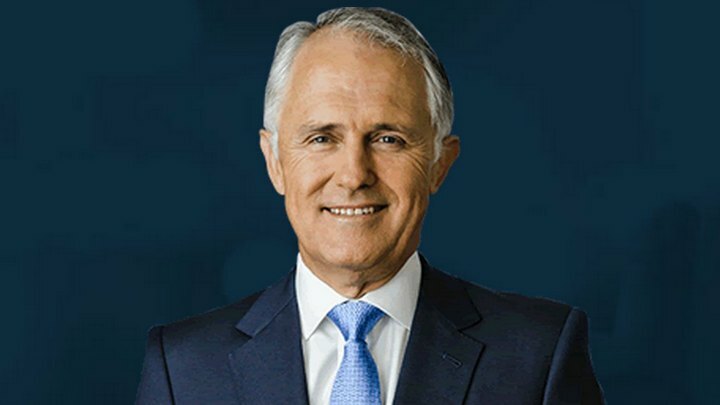 This is a picture of Malcolm Turnbull. I want you – yes, you – you, reading this – to put your face close to your screen. Do it now. I’m not kidding.